The “Siren” Call of New Yarn! Siren Yarn with a Lovely Card to boot! My swap yarn from the Blog Hub at Ravelry came Thursday. I love it! Thanks to Christine (whose Ravelry name is Yarnaboutyarn and her blog is Yarn about yarn.) Check it out! The yarn itself is a hand-dyed DK weight washable wool and the color name on the label is “Siren!” How cool is that! My swap partner tells me that her local yarn shop owner hand dyed it herself. And it is from the Land Down Under! Now I know why it took so long to get to me!!! Not that I’m complaining…..I was waiting patiently as I had plenty of other projects in the queue to occupy my time. Now, I need some help to decide what to make with this lovely yarn! It feels very soft and squishy, so it could be a small cowl or scarf or maybe even a hat. Any ideas? Right now, I am leaning towards the Grace Lace Beret. Let me know your ideas!!! A New Adventure Is Coming My Way! On Ravelry’s Blog Hub Group, I am participating in a Yarn Swap Adventure! 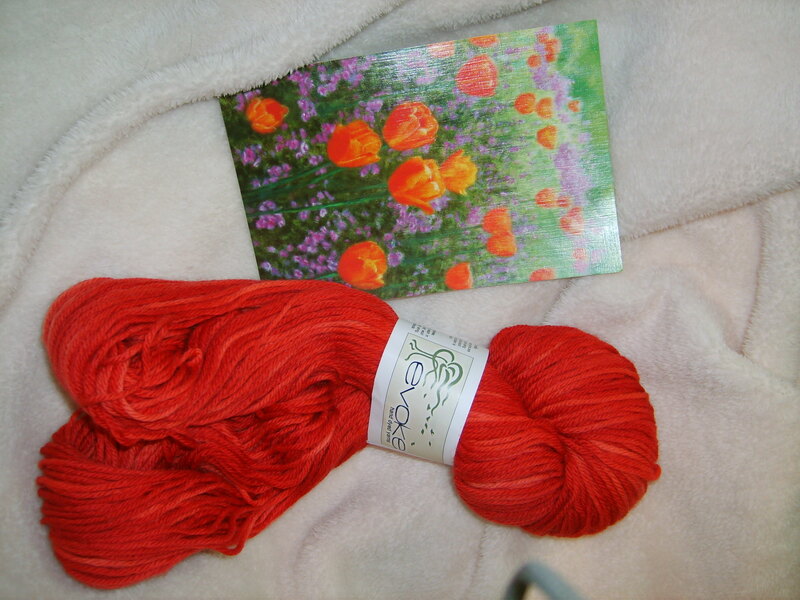 I had to find a skein of yarn in my stash, mail it to another blogger and then blog about yarn that I receive from another blogger, as well as whatever project I determine to do with that said yarn. I chose a nice selection of hand-dyed sock yarn for my recipient. I chose it because it reminded me of the barns here in Southern Indiana, and my recipient is in Germany. She should be getting her yarn any day now. I can’t wait to see what I get! I’ll be posting a picture, as well as ideas on what project to use for the yarn as soon as I can! In the meantime, here is a Flicker set of Southern Indiana Barn Photos. Enjoy!